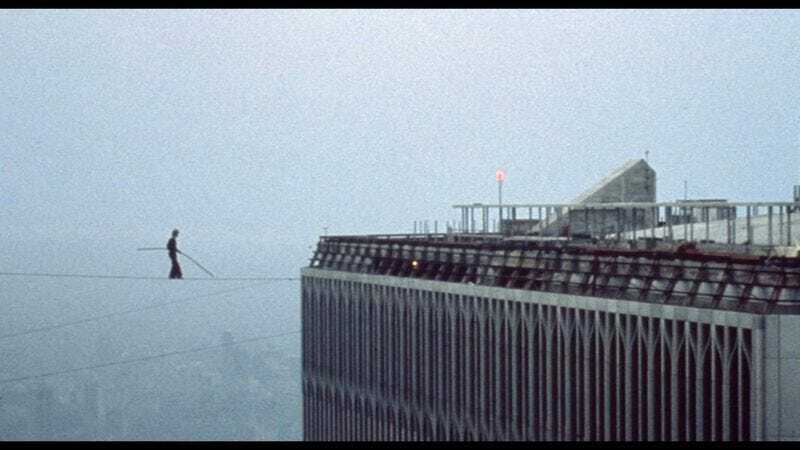 Not content to let a great non-fictional story remain just that, Robert Zemeckis is working to adapt Man On Wire star Philippe Petit’s memoirs into a live-action 3-D movie. Zemeckis and Christopher Brown co-wrote the script for To Reach The Clouds, and rumors are swirling (like the winds around Philippe, when he walked between the Twin Towers in 1974) that Joseph Gordon-Levitt is interested in starring as Petit. Making the film in 3-D is a logical move for To Reach The Clouds’ production house, TriStar, which is headed by former Fox Filmed Entertainment CEO Tom Rothman. Under Rothman’s guidance, Fox invested heavily in both Avatar and Gravity, two films that made big waves using cutting edge 3-D technology.